The US Department for Justice (DoJ) has blocked AT&T’s acquisition of Time Warner and filed a lawsuit to prevent it. The justice department has said that the merger, valued at US$85 billion, will reduce competition and raise prices for consumers. The US president, Donald Trump, has objected to the deal for some time, mentioning it in his presidential campaign, and has been a vocal critic of liberal news network CNN, which is owned by Time Warner. 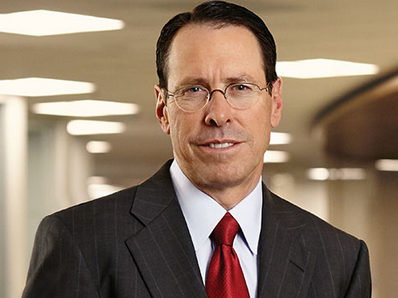 The president’s position has led AT&T to criticise the move as political and a departure from common US competition practice. The department, however, denies political interference. Stephenson has said that DoJ’s move “defies logic, and it’s unprecedented”, and that the deal had been on a good path until recently. Indeed, vertical takeovers such as this are rarely opposed by US watchdogs, and with AT&T primarily a telcoms and cable company and Time Warner the owner of entertainment assets HBO, Turner and Warner Bros., Stephenson had not anticipated such scrutiny. 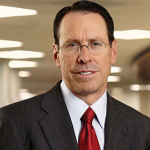 In April, the AT&T chief had stated that the deal was “moving along as expected” and looking towards a positive outcome. David McAtee, AT&T’s general counsel, said: “Vertical mergers like this one are routinely approved because they benefit consumers without removing any competitor from the market. We see no legitimate reason for our merger to be treated differently. M&A deals between large companies have become common place as businesses look to remain competitive among the growing world of tech platforms including Facebook, Amazon, Apple and more. Just this month, there’s been talk of Disney, Sony or NBCUniversal parent Comcast buying assets from 21st Century Fox.